All top sites of Ancient Rome with underground visits including Colosseum with kid friendly guides. 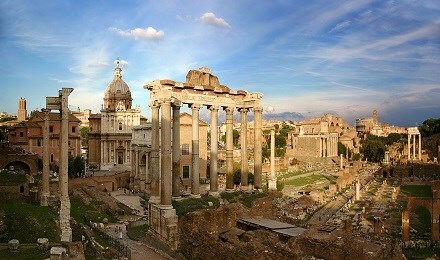 All most important sites in Rome with Capitol Hill, Roman Forum, Circus Maximus and Colosseum and underground visits. A whole other Rome exists hidden away beneath the modern buildings. The three best subterranean sites scheduled to visit in Rome are the Catacombs on the Appian Way , the underground of San Clemente Church and the underground of Colosseum not opened to general public. All explained by kid friendly guides. A great adventure of Ancient Rome history for kids and adults alike. TOUR CATEGORY: private chauffeured car and walking tour in company of a private tour guide. The Catacombs and Colosseum underground and upper level part offered on group basis with other participants sharing the same guide.